Guide your mouse over the states below to see the number of available dealerships in each state. 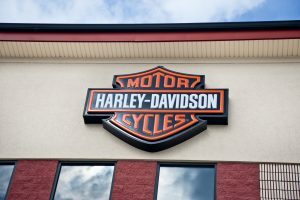 Harley-Davidson remains one of the most respected and identifiable brands in the world.Because of this most H-D dealerships due to their great success, are only acquired at great expense.This however is an opportunity to acquire a profitable Harley-Davidson dealership at an affordable price! The dealership has enjoyed many years of success, yet is a manageable size and enjoys unique geographic isolation from competitors perfect for either a first time owner, or for an existing dealer to add to their footprint.